Sun-safety Styling Journey: Which is best for you? 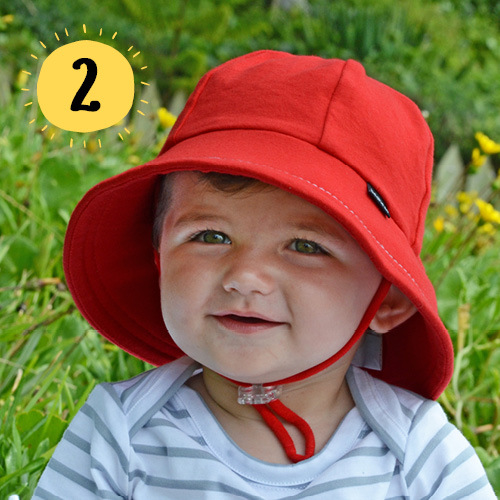 The physical development and growth of your baby to a toddler, then child, will greatly influence which hat is best suited to their needs. Here’s a quick guide to understand which is best for your little one. 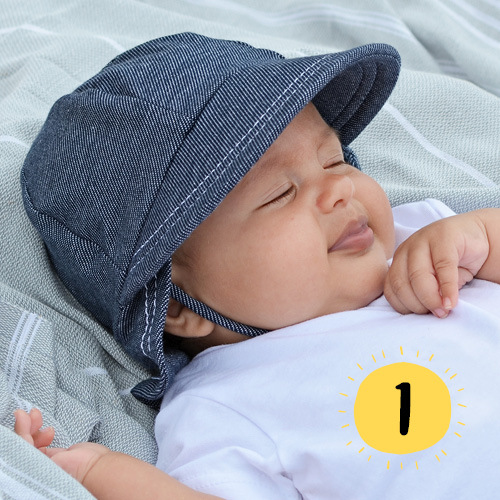 Babies are born with very little ability to control their head and neck muscles. The Legionnaire hat has been specially designed with a soft neck flap to fold under their neck - keeping the hat in the correct position. 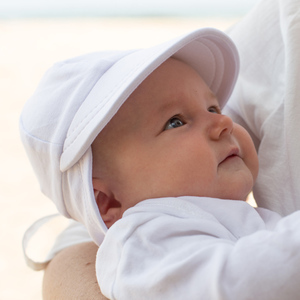 Once baby is more physically mobile and comfortable wearing hats – it’s time to move up to a Bucket shaped brim. 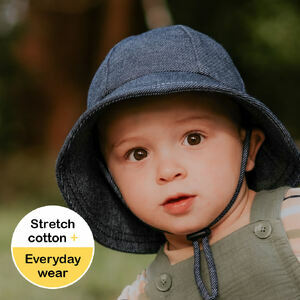 Baby Buckets have a soft flexible brim that introduces toddlers to an angled brim in the line of sight. 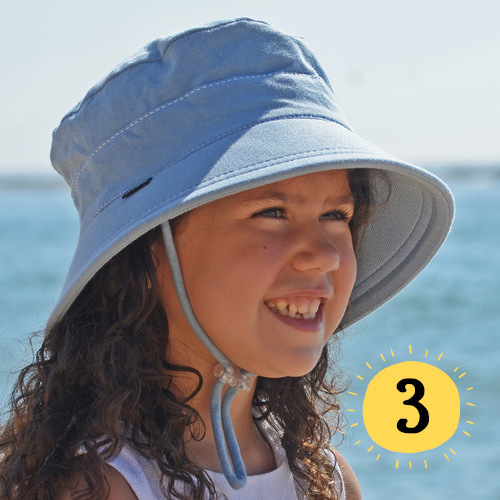 ANTI-FLOP BUCKET HAT: Big kid now! 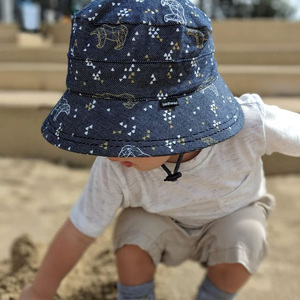 Gone is the stroller or carrier – your big kid is ready for an Anti-flop Bucket hat. Our brims are created with ‘anti-flop’ technology so it will never block their vision. 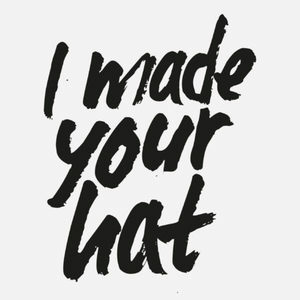 Soft, stretchy & lightweight, this is the hat they forget is on. PERFECT FOR: Fully mobile children no longer requiring a stroller – walking, running, non-stop play!